China is challenging Japan’s status as Asia’s number one nation for higher education and research, with four new entrants in the Asia University Rankings. The Asia University Rankings published by the Times Higher Education magazine on Thursday reveal that although the Japan has retained its crown, and still has Asia’s number one institution (the University of Tokyo) and 20 universities in the top 100, it has lost two representatives from the list. “With four top 100 entrants and five rising institutions, mainland China’s commitment to research spending and reforms to nurture world-class universities appear to be paying off,” says Phil Baty, editor of Times Higher Education Ranking. Mainland China’s top-ranked institutions are Peking University (fifth) and Tsinghua University (sixth) and Hong Kong has two top 10 representatives and six overall, although Taiwan has fallen from second to fourth with 13 representatives. Writing in the Asia University Rankings supplement, Jamil Salmi, an education economist and author of the influential book The Challenge of Establishing World-Class Universities, says that Asian countries such as China and Singapore – and even the Saudis – are very driven and are working hard to improve their results,in contrast with Japanese institutions, which “have no sense of urgency”. Japan’s performance seems to confirm Salmi’s words: for example, the Tokyo University of Agriculture and Technology (81st in 2013) and Yokohama National University (joint 96th) have exited the table this year and three more institutions are close to the edge. 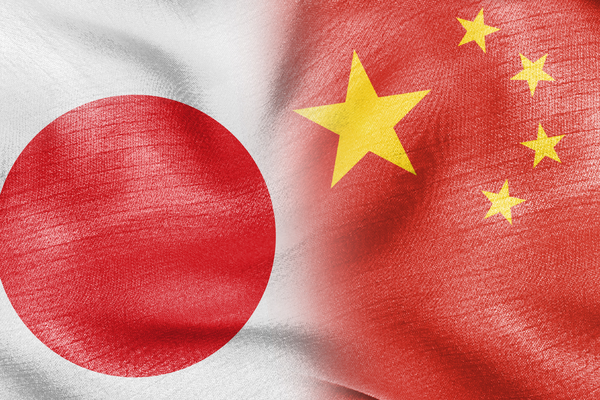 Japan’s grip on the regional crown appears to be loosening. In contrast, China’s fortunes have flourished. Although Peking University has slipped one place to fifth and Tsinghua University has remained static, a number of its institutions have gained ground. Hong Kong institutions have delivered a stellar performance; there are six representatives in the rankings and all make the top 50. And among Taiwanese universities, there are 13 top 100 institutions, led by the National Taiwan University (stable in 14th place). The University of Science and Technology of China has risen four places to 21st. Renmin University of China is up nine places to joint 32nd and Wuhan University of Technology has risen from joint 58th to just inside the top 50. In addition, China has four new entrants in the top 100: Tianjin University(62nd), East China Normal University (joint 67th), Hunan University (81st) and Tongji University (87th). The University of Hong Kong holds on to third, followed by the Hong Kong University of Science and Technology (ninth) and the Chinese University of Hong Kong (12th). City University of Hong Kong slips three places to 22nd, Hong Kong Polytechnic University is down two spots to 35th, but Hong Kong Baptist University moves up eight places to joint 42nd. Phil Baty noted that the ever-closer links between the mainland and Hong Kong will further support China’s rise. If the trend continues, the Asia University Rankings will have a new champion in 2015. Like the overarching tables, the Asia University Rankings employ the most comprehensive and carefully calibrated methodology, using 13 separate performance indicators to examine each university’s strengths against all its core missions: teaching, research, knowledge transfer and international outlook. All data are collected, analyzed and verified to the highest standards by data specialists Thomson Reuters, making the rankings the global academy’s most trusted and respected league tables.